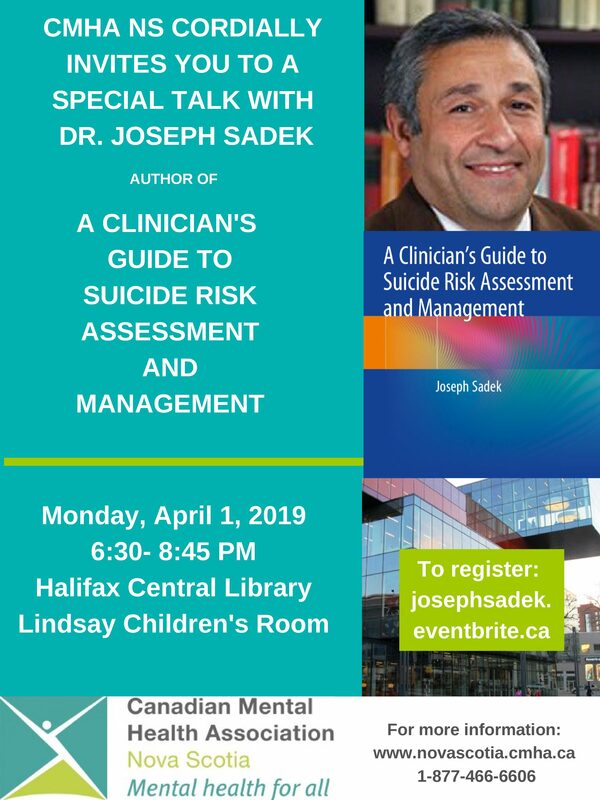 Join us and Dr. Joesph Sadek at the Halifax Central Library on Monday, April 1. Dr. Sadek will be in the Lindsay Children’s Room from 6:30-8:45 discussing his book: A Clinician’s Guide to Suicide Risk Assessment and Management. This is a free event but registration is required. To reigister, please click here.